It's not Earvin "Magic" Johnson, but this week we get a look at a couple of Orlando Magic players in two of their most popular signature shoes. 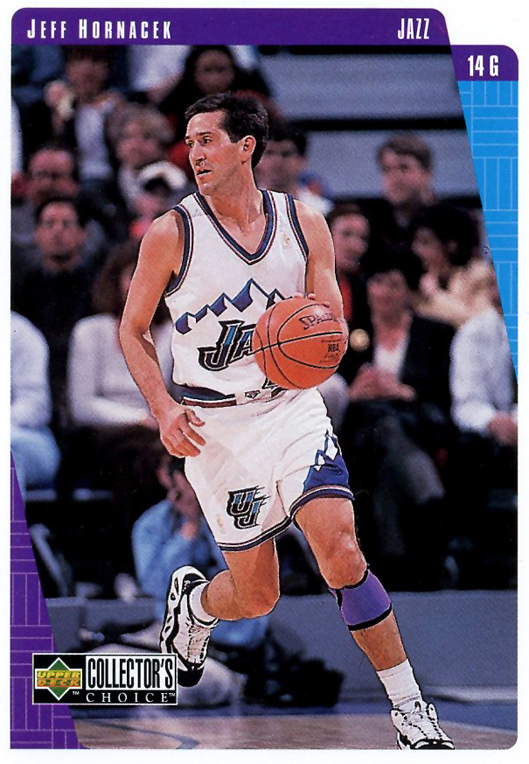 It's a Center-heavy lineup this week (one a little more well known...and talented than the other two) along with Penny Hardaway and yep, Jeff Hornacek! 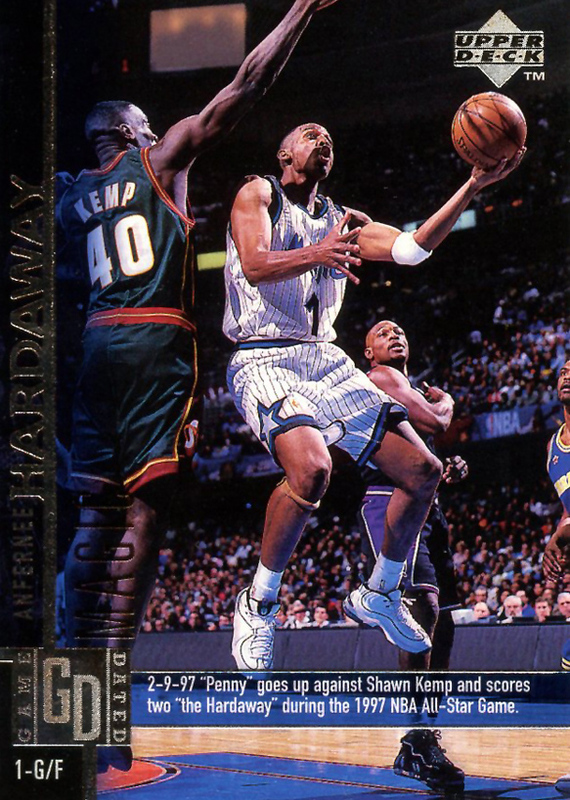 We actually get two looks at the Nike Air Max Uptempo III on the feet of Jeff Hornacek as well as Mitch Richmond on the card with Penny wearing his Air Penny II during the 1997 All Star Game. 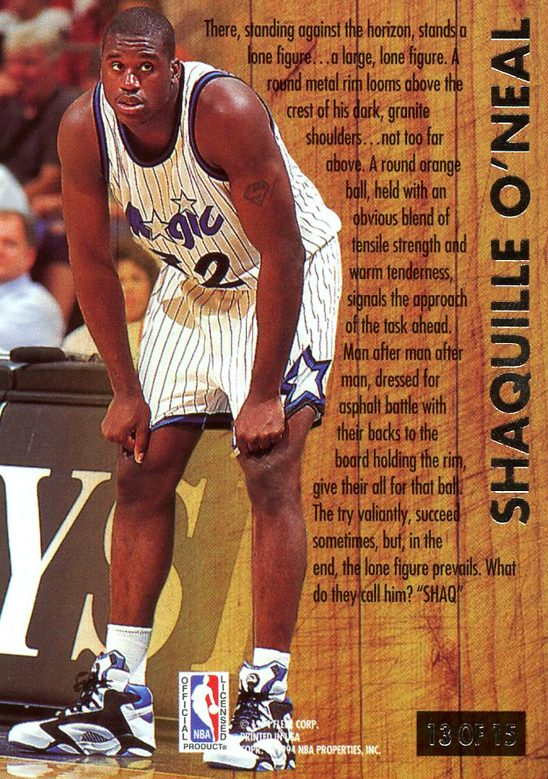 Now for the three big men: Up first is Shaquille O'Neal in his first signature shoe, the Reebok Shaq Attaq. We all know Shaq, but the next two are a just a little more obscure. Benoit Benjamin who was the #3 pick in the 1985 NBA Draft but toiled on various awful teams throughout his NBA career is seen here in the Nike Air Revolution. 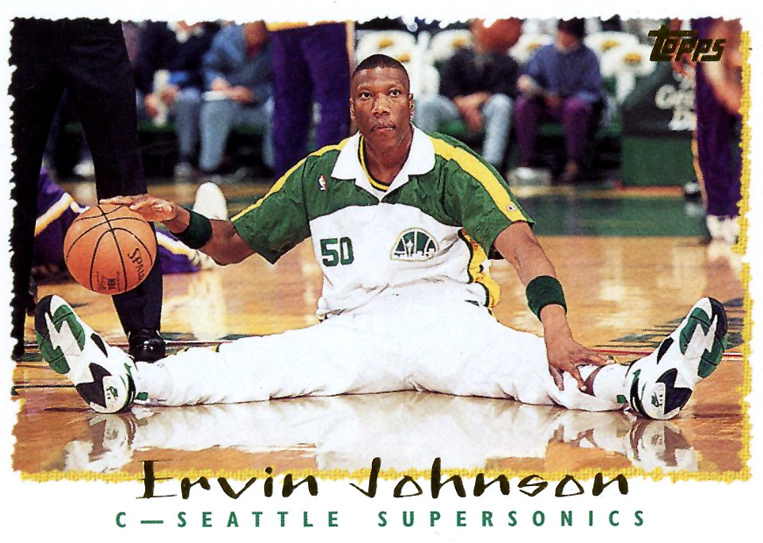 To finish out this week we have Ervin Johnson lounging on the court during shootaround in his sweet Sonic-colored Nike Air Maestros. 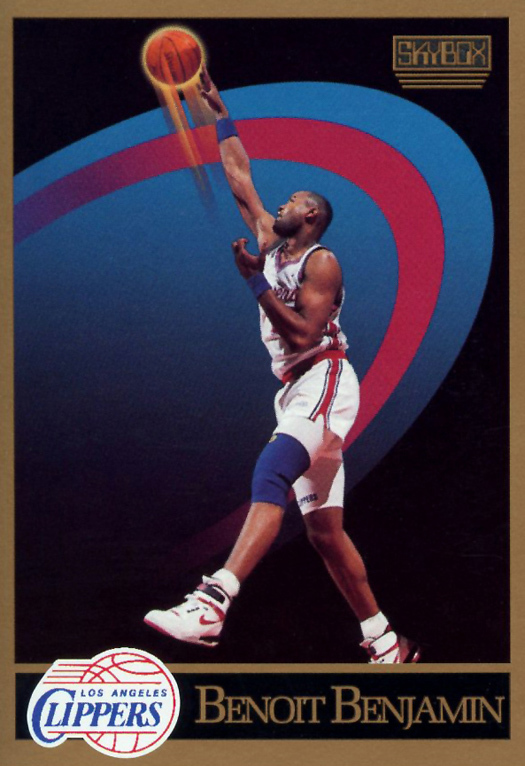 The Air Maestro is a staple of early 90's NBA players that I've found on many cards, but this one is more unique because it's a good look at the outsole design. Don't forget to check out the Kicks on Cards main page for daily updates!